Being a Wigan Athletic fan has never been plain sailing. There have always been storms that have halted the club’s progress, even if it has so often ridden the waves and kept moving ahead. Where are Latics here and now? As fans we all have our own opinions, but there is nobody who is not concerned about the near future for the club. In order to get a fan view we reached out to bronxbomber, a contributor to the Cockney Latic Forum. He is a true Latic fanatic who has supported his club since their non-league days. There is an old saying “You can’t make a silk purse out of a sow’s ear”. 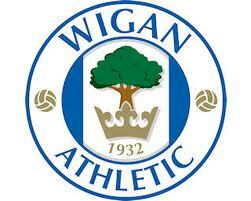 The team that lost at Bolton on Saturday is the worst Wigan side I have seen in thirty years. They only bucked up a bit in second half when Maloney came on, and he’s off in a couple of weeks. You have to blame DW. Three managerial disasters, and now selling off all the ‘Family Silver’ . There is no money to spend and he is trying to ship players out, but who is going to take them? Apart from McManaman – a decent player but whose temperament is questionable – and Maloney, the rest are dross. A friend of mine told me that he was speaking to a Latics coach last week and he asked him why Delort and Riera weren’t playing . His reply was “Because they are c..p” . You can add Cowie , Forshaw, Huws, Tavernier and Holt. The latter is finished now as he is out for nine months. I bet he’s laughing all the way to the bank. £30,000 a week and still has 18 months on his contract. Ben Watson will forever be a Latics Hero, but I’m afraid he is another player who is finished. Only positive from Saturday is that it showed Al Habsi is a better keeper than Scott Carson. Man of the Match. Without him it could have been 6…. I know my opinions probably differ from a lot of people but I have watched Latics from the non- league days. I see where we have come from and have watched players who had a passion for the club, sadly lacking in this day and age. But I suppose this can be said for most of today’s players. It’s just a job, not like in the past when players would have played for nothing and practically did. I think opinion is divided on MM amongst the fans. In my opinion he was the wrong man for the job. He was out of work and a bit of a “no no” as to his past reputation. But let’s face it he was cheap which appears to be the main requisite on how Dave Whelan conducts his business. Be it commercial or football the last three appointments have been disasters in managerial terms. Look where Derby are now with McClaren. It is muted that he applied for the manager’s job, but DW chose Coyle. I wonder why? Even though I think MM was the wrong choice, he was left with players who were not up to Championship standard, for whom Rosler forked out all the money we got from selling off the ‘Family Silver’, around £12 million. Huws, Tavernier, Taylor, Forshaw, Cowie, Delort, Riera. They aren’t as good as the players we already had at the club and that’s not saying much. Holt a catastrophe buy and now out for nine months, so we won’t see him again. Where are Kvist and Rogne? I can’t see there being any money to spend in January so it will have to be loan players and that will mean shipping people out. Roger has gone. Maloney, our only decent player, is rumoured to be on his way out too. So who do we get in? It’s a job … I think a lot of the players at Wigan have this attitude. If they got paid on performance ratings, as in the real world with individual output targets, they would buck up. At the moment they appear to be going through the motions. I don’t really agree with some of the points on here. I think that Latics have one of the strongest squads in the Championship, but there is something fundamental going wrong in the system. Either it’s bad management and tactics or bad attitudes from players. Forshaw, Huws. Cowie, Tavernier, Delort and Riera have all had success previously and all came to the club very highly recommended. Delort and Riera had done well in their respective leagues – Riera in one of Europe’s top leagues. Huws has played in the Championship before and has done well. Cowie has a good amount of Premier League experience. Rosler himself bought Forshaw since he has worked with him and he knows how good he is. Tavernier looks a million bucks at set-pieces, crossing and general attacking play, but he needs to improve defensively. These players have talent which needs harnessing. We need to get the best from them, and the likes of McManaman and Maloney, but we simply aren’t doing that. Latics have a good enough squad to challenge for promotion, but we are fighting relegation. It could be due to a lack of fight, poor attitudes, bad management, the recent off-field trouble, all four or even more – but it’s clear that something is seriously wrong at the club and this needs sorting right away. ← Selling off the crown jewels – but who cares?